Back in the day, prospective car buyers would complete their purchase, and that would be the extent of their relationship with the brand. You’d rarely see these owners refer to a car manufacturer when they had questions about their specific vehicle or warranty. It wasn’t like these brands were incentivizing future visits to their dealerships, so the final purchase was about the extent of a customer’s experience with a particular company. Nowadays, this isn’t the case. Car brands, especially Chevrolet, are providing their customers with a number of services that will be appreciated after they’ve made their purchase. For instance, the Owner Center provides insight into your specific vehicle and agreement. Meanwhile, Chevy also provides certified service, meaning owners should continue to visit a dealership for general repairs and check-ups. Gone are the days of bulky manuals and missed phone calls. These days, owners can satisfy all of their Chevy-centric needs thanks to the brand’s intuitive Owner Center. Via this webpage, owners can access a variety of helpful resources that will guide them throughout their ownership. For starters, owners can view their specific vehicle’s service history. This will serve as a helpful reminder when you’re investigating everything your Chevy vehicle has endured. This will also be especially helpful during the buying or selling of a used car. If you’re going to eventually sell your Chevy, the service history allows you to be completely transparent in regards to the vehicle’s condition. If you happen to be purchasing a used Chevy vehicle, then the seller shouldn’t have any excuse for not being equipped with their car’s history report. Speaking of the vehicle’s condition, drivers can also stay up to date on any recalls or maintenance reminders, meaning you’ll never miss out on an important bulletin. We understand if you don’t remember every nuance of your Chevy vehicle’s manual, and we don’t blame you if you only vaguely remember the details of your warranty. Thanks to the Chevrolet Owner Center, you can access all of this information in one place. Given an owner’s ability to get a detailed explanation of their warranty, there should never be any questions regarding your coverage. When it comes to the owner’s manual, it’s a lot easier to read the specific details on the computer than it is reading it from a thick book. Plus, via the Owner Center, drivers can even rely on how-to videos, providing additional guidance as you’re learning the ins and outs of your new Chevy. Meanwhile, thanks to the personalized OnStar Diagnostics Report, drivers can view every detail of their vehicle’s performance. These detailed reports will even provide advice, allowing you to maximize the vehicle’s power, efficiency, and tire pressure. Finally, and perhaps best of all, the Owner Center is extremely convenient and easy to use. If you happen to own multiple General Motors vehicles, you can access them all via the website. Therefore, you won’t necessarily have to look for a “Chevy dealership near me” in order to appreciate all of these offerings. Once you own a Chevy vehicle, you’ll no longer have to rely on those sketchy, unreliable local mechanics. Instead, you can search for a “Chevy dealership near me” and expect top-notch service. Since the brand hires technicians that specialize in repairing Chevy vehicles, you’ll be unlikely to find a mechanic that can provide as much expertise and know-how. Additionally, drivers can stay up to date on their car’s maintenance by visiting the brand’s website. Here, you’ll be able to peruse any service offers provided by the brand, including oil changes, brake tune-ups, and battery replacements. While you may not ordinarily be enticed to throw done money for such a minor fix, Chevy’s offers incentivize the trip to the dealership. Of course, unlike private mechanics, Chevy isn’t going to require your vehicle to undergo unnecessary repairs. 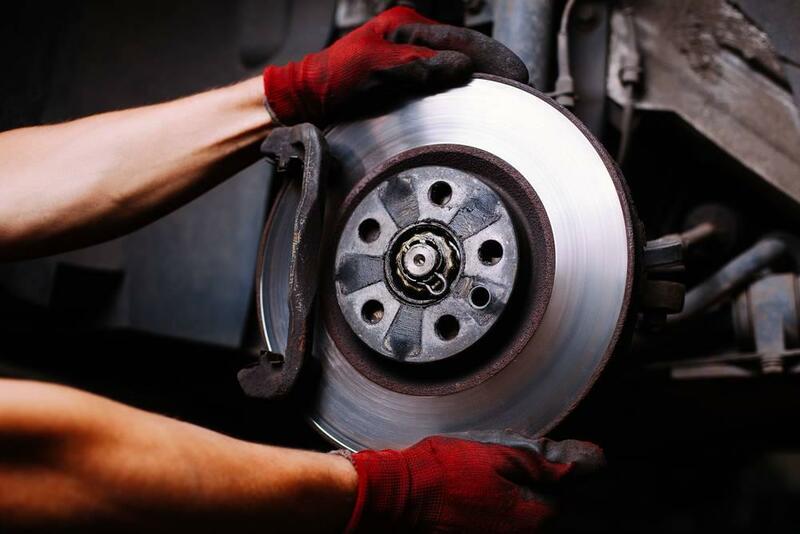 Instead, the expert technicians will inspect your vehicle and determine the best course of action for you. Therefore, you won’t have to dish out extra money for a non-essential service. Of course, if you prefer, you can peruse the brand’s “frequently asked questions.” This will provide some helpful insight into your vehicle’s mechanics. Similar to the brand’s Owner Center, the brand’s service website is incredibly easy to use. You can easily locate a dealer via the site, meaning it shouldn’t take long to find the right technician. While Chevy’s assortment of vehicles provide some of the most appreciated features and amenities in the entire industry, there are still several ways you can further customize your new car. By adding any of the brand’s accessories, you can boost your car’s convenience and entertainment. Perhaps you’re looking to make your vehicle sportier or more intimidating, in which case you could add a number of molded hood protectors to your ride. Of course, this addition would also help maintain the new condition of your Chevy vehicle. If you’re going to be relying on your new purchase for road trips, then it might be a clever idea to opt for any of the brand’s cargo management systems. Regardless of which accessory you’re looking to add to your car, you should definitely shop for any accessories via the brand’s website. Chevrolet Accessories are specifically designed for the brand’s vehicles, meaning you won’t have to worry about proper fit. The brand also sells a number of Associated Accessories, which are trusted accessories available via private, third-party manufacturers. For instance, owners can find accessories from Thule, Lund, TracRac, UWS, and Curt. If you’re going to be shopping online for for these parts, you’ll surely come across more affordable accessories. However, the minor savings won’t justify the risk you’d be taking, as there’s a good chance your vehicle will be incapable of accommodating the new addition. Best of all, you’re unlikely to find a better accessory deal elsewhere. The bow-tie brand often provides sales on their offerings, including 10% below MSRP during the early parts of spring 2017.